A.B. Richards has proudly served the state of New Jersey for their storage container rental needs for over the past thirty years. Whether by helping small business owners with portable storage space, lending a hand to local sports teams like The New York Jets with storage for their sports equipment, helping your friends and neighbors with their residential storage containers for spring cleaning or renovations, or even helping local contractors leave their equipment on site, A.B. 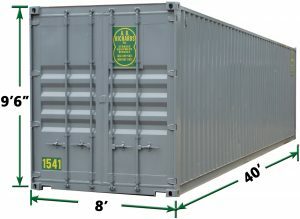 Richards has set the standard for storage container rental in NJ. 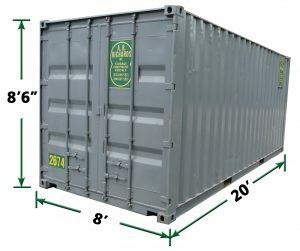 Call (800) 597-5971 now or fill out the form to get a free quote about renting and leasing storage containers in NJ! We offer three different types of storage containers: a 20ft storage container perfect for residential and small business storage, a 40ft container optimal for larger businesses and even a 40ft jumbo storage container that fits the larger needs of contractors. If you aren’t sure what type of storage container you need, then A.B. Richards has dedicated and trained staff members that can help you. Our staff also delivers and picks up the containers when you’re finished, so there’s no hassle! I rented an A.B. Richards storage container for my contracting business (I needed to store furniture while I redid the downstairs of a clients home). It was secure and dry and very reasonably priced. – Parker, Vineland, NJ. 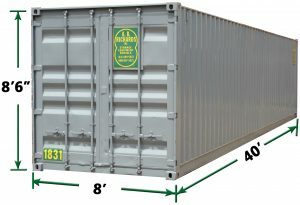 For more information about our storage container rental in New Jersey, contact A.B. Richards today!